2019 Fiat 124 Spider Trim Levels with Comparisons & Configurations. What 2019 Fiat 124 Spider Trim Level Should you Buy? What is the Difference Between Trims? Although cars have many practical uses, many consumers are also looking for a fun driving experience. Sports cars, particularly those with convertible tops, have always been and will always be popular with car enthusiasts. There are not always the most practical, but they are pretty much guaranteed to get a driver's blood pumping. First introduced way back in 1966, the Fiat 124 Spider comes back with plenty of retro touches. It comes back in 2019 to combine that style with modern technology. This vehicle certainly won't be right for every consumer due to the fact that it is a 2-seater with very little cargo space. That being said, it will fit the bill exactly for those in the market for a fun little roadster. The Fiat 124 Spider offers buyers a lot. With its powerful engine and nimble steering, this vehicle checks many of the sports car boxes. The 2019 124 Spider is part of a generation that was introduced in 2017. It sees very few changes this year. There are a few new standard features across all trim levels, including a backup camera and the Fiat Connect 7.0 multimedia system on a 7-inch touchscreen. In 2019, buyers will have four different trim levels to choose from when considering the Fiat 124 Spider. These are all high-quality vehicles that combine Italian styling with racing-like performance. As consumers move up the trim levels, they will find a few upgrades to the exterior, interior, and underneath the hood. The following is a guide designed to clearly lay out the differences in between trim levels so that consumers can make an informed decision about which vehicle is right for them. 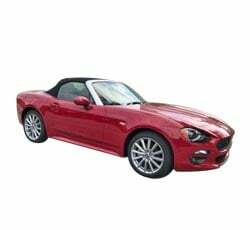 Compare the 2019 Fiat 124 Spider Classica vs Urbana Trim Levels. What is the difference? All versions of the 2019 Fiat 124 Spider come equipped with a 1.4L I4 MultiAir Turbo Engine. On this trim, as well as the Urbana and Lusso, this engine will provide drivers with 160-horsepower. They all also come with a 6-speed manual transmission, but a 6-speed automatic is also available for those who desire it. With the manual transmission, drivers will enjoy an EPA estimated 26 MPG in the city and 35 on the highway. Those who go with the automatic transmission will actually see slightly better numbers, with an estimated 36 MPG on the highway. The first three trims of this vehicle feature a Touring Suspension. It is a four-wheel independent suspension designed to enhance the steering and handling of the vehicle. A double-wishbone front and multilink rear design is used to accomplish this. Inside the Classica trim consumers will find premium cloth seats. Like all trims, this version of the 124 Spider seats 2. Each trim comes with a 12-volt auxiliary power outlet and integrated voice command with Bluetooth. Luxurious features that are standard across all trim level interiors include a leather-wrapped steering wheel and shift knob on manual transmission models. Consumers will find a vehicle information center that gives them data on their tire pressure, fuel consumption, and more. Each version of this vehicle also comes equipped with a push-button start, illuminated entry, and a soft-touch upper instrument panel. The Classica trim features silver interior accents. The standard infotainment system includes a 7-inch screen and has Bluetooth capability. It comes equipped with popular apps such as Stitcher, Aha by HARMAN, and Pandora. As for speakers, drivers will find four no matter which 124 Spider they go with. Steering wheel mounted audio controls are another standard feature across the board. This trim level rides on 16-inch silver aluminum wheels. A convertible roof with acoustic headliner is standard for all 124 Spiders. With the roof up, drivers will find this vehicle to be surprisingly quiet. Even with it down, there is minimal wind buffeting and the sound system is easy to hear. Bi-function projector headlights, daytime running lights, and LED taillights are all standard features. Due to the type of vehicle it is, there are limited advanced safety features available for the 124 Spider. 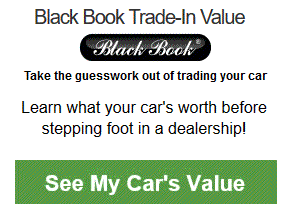 It does come standard with a rear back-up camera and a tire pressure warning light. There is also seatbelt pretensioners with a seatbelt load limit sensor to help keep occupants in the ideal position in the case of a collision. There is only one optional package available for this entry-level trim, other than weather-related ones that add special floor mats. It is called the Technology Group. Consumers who choose to add this package will gain the Sirius XM radio that becomes standard on higher trims as well as keyless vehicle access. Moving up to the Urbana trim comes with a small number of upgrades. The seats in this trim are made of Urbana leather and microfiber. This trim also adds the SiriusXM radio that includes a 1-year subscription. Outside on the Urbana, drivers will find 17-inch black diamond aluminum wheels and standard front fog lamps. The dual exhaust tips have bright tips, which is a retro touch sure to appeal to some consumers. The exterior accents on this trim are piano black. Interestingly, there are no real optional packages for the Urbana trim. Drivers can add the weather-related ones with floor mats. 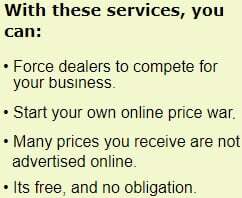 Otherwise, it already has the features added by the Technology Group and does not offer consumers the same packages that the upper trims do. Although there are not many changes between the first two trim levels, there also is not much of a price jump. The Urbana trim may appeal to consumers due to its slightly sportier appearance and higher-quality materials on the seats. Compare the 2019 124 Spider Urbana vs Lusso Trims. What is the difference? If a consumer goes with the Lusso trim, they will get 17-inch premium silver aluminum wheels. Automatic headlights become a standard feature. A premium silver header trim helps set this trim apart from the rest. This is the first trim level to add automatic temperature control to its air conditioning. Rain-sensing wipers are also standard on this trim. The seats in this vehicle have leather trimming and are heated. The biggest difference between these two trims has more to do with the optional packages than the standard features. The Lusso trim is the first to offer the Comfort and Convenience Package, which adds an auto-dimming exterior mirror, heated exterior mirrors, Rear Park Assist, a universal garage door opener, Blind Spot Monitoring, and Rear Cross Detection. Another optional package for the Lusso is a Navigation and Sound Group. With this, consumers gain a 9-speaker Bose sound system including a subwoofer and navigation. Buyers can also add the Visibility Package, which adds adaptive front headlights, automatic headlight leveling system, LED daytime running lights, a headlight washer, and LED headlights. Unless a consumer is interested in adding optional packages, there is not much reason to go up to the Lusso from the Urbana. Again, there is not much of a price jump between the two levels. Buyers will need to factor in the extra cost of the optional packages when making their decision. Compare the 124 Spider Lusso vs Abarth Trim Levels. What is the difference? The top-of-the-line Abarth trim has the same engine as the others but manages to squeeze out 4 extra horsepower, bring it up to 164. It is covered by a sport engine cover that is designed to impress when consumers pop their hood. A limited slip differential and rear axle also comes standard on this trim. The touring suspension found on other trims is replaced by a Bilstein performance suspension with a front strut tower brace. Coming standard inside the Abarth is a special Abarth leather/microfiber sport seat. This trim has a sport leather shift knob on the manual transmission models. There is a specialized sport instrument cluster designed to highlight the driver information display and the tachometer. Other interior design features include a special flat-bottomed leather sport steering wheel, matte gray interior accents, a gun metallic mirror cap, and bright pedals. Drivers can engage the sport mode in the Abarth to access modifications to the throttle, steering, electronic stability control, and transmission shift points. These modifications are designed to increase performance. This trim level also offers consumers the option of a Record Monza exhaust, which adds a satisfying growl to the vehicle and lets everyone in the area know it is a powerful little car. The Abarth trim sits on 17-inch gun metallic aluminum wheels. It has unique Abarth exterior badging as well as black side sills and skirts that protect the doors from dents and scrapes. Consumers will find gun metallic header trim and quad exhaust pipes with bright tips. A sport-color body fascia is standard, and buyers can choose to add "Abarth" fender badges, a red fascia lower lip, and/or hand-painted heritage racing stripes. Those who are considering a Fiat 124 Spider are likely looking for a fun car with top-of-the-line performance. As a result, most consumers will benefit from the Abarth trim. There is a very small price gap between it and the Lusso but it handles and looks sportier. Whichever trim drivers select, they should be sure to stick with the manual transmission. While this transmission receives rave reviews for performance, the automatic one seems to frustrate many. The manual transmission is well done and easy to use, even for those just learning how to drive a stick shift. The 2019 Fiat 124 Spider Abarth is worth a little extra money due to its increased power, handling, and styling features. 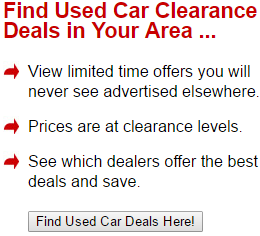 It is a great choice for those in the market for a 2-seater convertible.